BOX for 1/3oz Roll-on Bottle - As Low As 0.25! Make your product stand out from the rest. This custom fit box will not only protect your 1/3oz roll-on fragrances but also enhances the look and appeal of the product. No cutting or gluing required! Great Packaging Idea Order custom sheets of 80 labels in your choice of color to label the box with a fragrance name or with your company name and phone number or website. 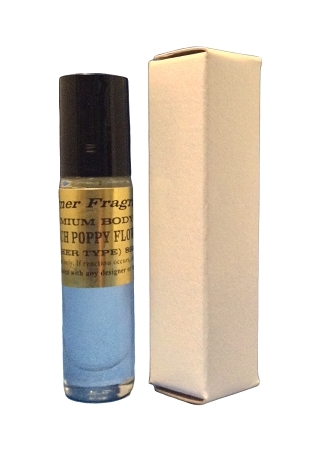 For a totally comprehensive look, order labels for both fragrance and contact info and put one either side of the box - use a matching color to the label on your bottles for a truly luxurious look! * Only.. 30 cents each or just 25 cents each when you order 100 or more!. ***Please note these boxes do NOT fit our 1/3oz SWIRL bottles. They ONLY fit our plain 1/3oz Rollon bottles. Please check dimensions for any other bottle. 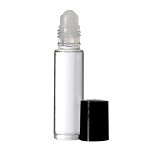 Premium Body Oil 1/3oz Roll-on (PURPLE CAP) - As Low As $1.75!